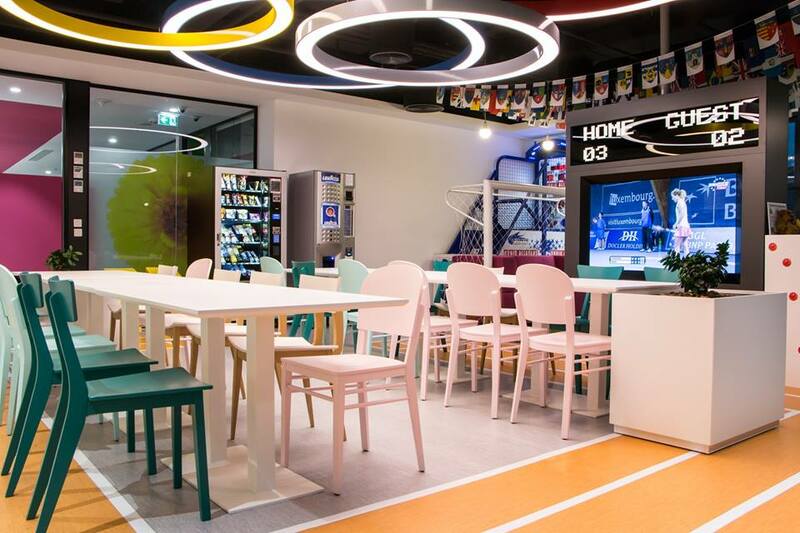 Colorful open spaces, thematic designs, relaxation rooms, hammocks, swings and sofas for afternoon rest or indoor cycling tracks and gyms: today's offices have received an upgrade in Romania too. Let’s have a look at a few company offices in Romania. 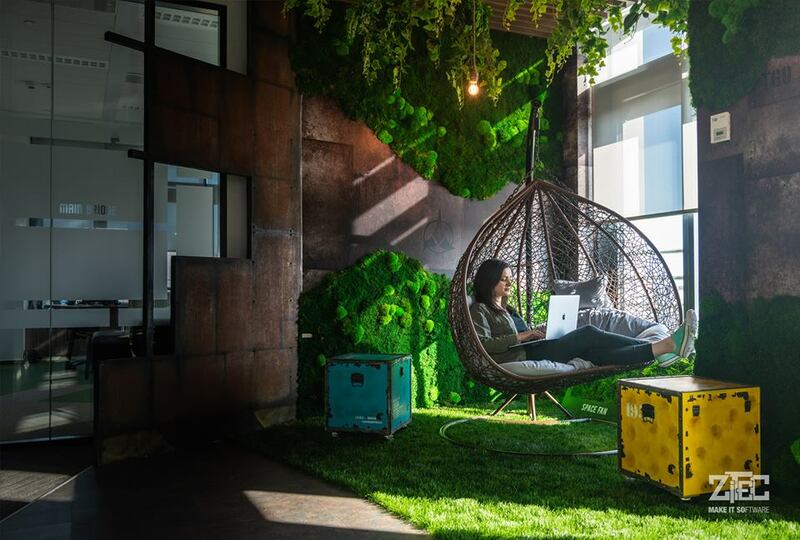 As employees spend a great deal of time at their job, and work is increasingly demanding, the trend in the office market is to offer more unconventional work areas. The employees' preferences have also changed radically in recent years. As Millennials entered the labor market and given the shortage of specialists, employers had to adapt to their employees' needs to attract and retain them. Studies show that young people who started to work in recent years are not very loyal to their employers and are not planning to spend more than three years in the same job. Besides salary, extra-salary benefits and working conditions, when accepting a job, candidates also check out the offices they are going to work in. When taking a break, employees now want to spend that time relaxing with a video game, socializing with other colleagues, reading a book, riding a bike or even having a siesta on a sofa after lunch. 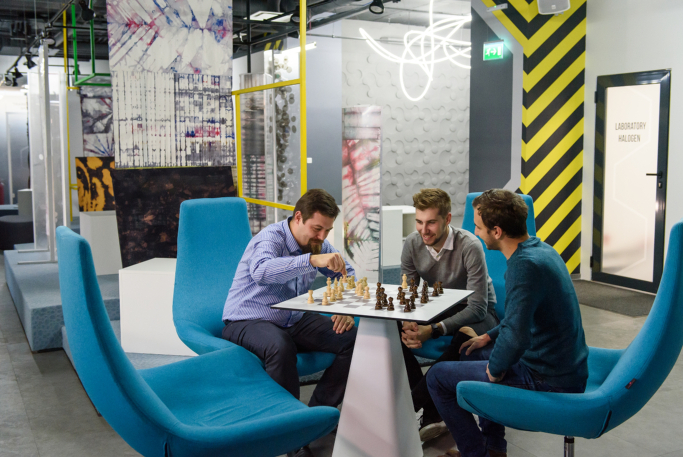 That's why today's offices have relaxation rooms with interactive games, spaces for socialization, libraries and even their own sports halls. The new offices also have integrated green spaces or urban gardens, as international studies show plants and green areas improve productivity by 15%. According to real estate consultancy firm ESOP | Corfac International, more than half (56%) of the 700,000 sqm of new office space to be delivered in Bucharest until 2019 will be located in class A office buildings that will have inner gardens or green spaces on their roofs. Most of these office projects with urban gardens will be located in Bucharest’s center-west area, which will see over 180,000 sqm of green projects, such as AFI Tech Park, Campus 6, The Light, The Bridge and Business Garden Bucharest. Romania is a booming market for office space buildings, especially with its main cities Bucharest, Cluj, Timisoara and Iasi. In the capital city alone, more than 250,000 sqm of offices will be in use by the end of the year, with more than 25,000 employees working there. Developers and interior designers have designed the new offices according to the employees' preferences. The most recent example is IT company Zitec, which inaugurated the new headquarters in Timpuri Noi office area later last month. Here, a team of up to 190 specialists can work on an area of 1,700 square meters. 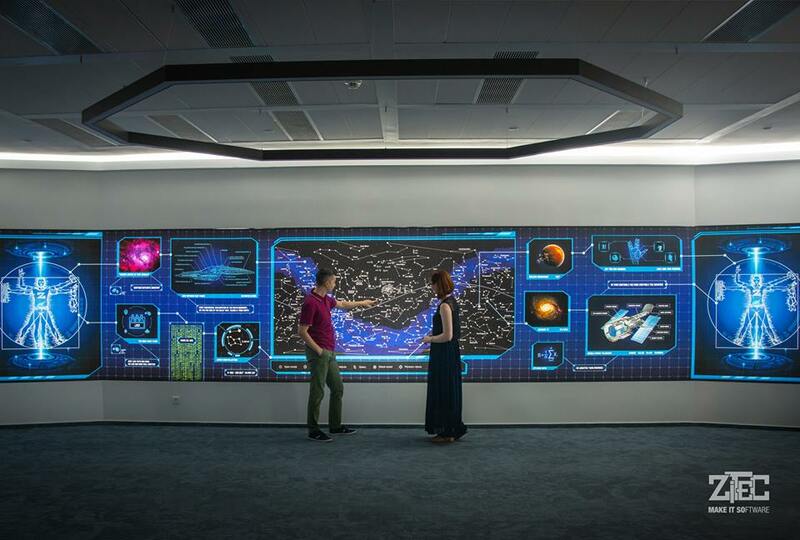 The science fiction universe and cosmic space are the main characteristics Zitec has used in the design of the new offices, using the famous Star Trek movie as inspiration. The unconventional aspect of the company's office is also given by the area with natural decorative moss and by the salt saline with salt brought from Praid. "The team wanted the new workspace to represent the ambition to grow through innovation and the courage to explore unknown territories. 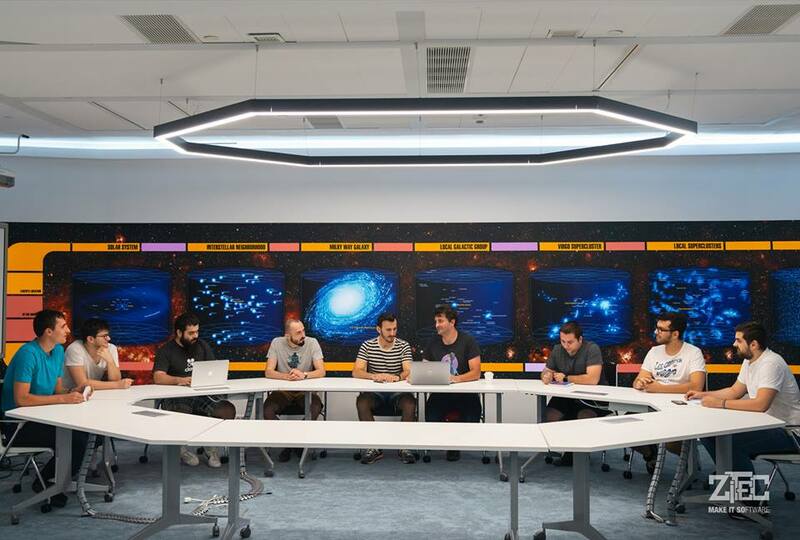 Whether we are talking about technology, music, science fiction, or the Universe, bold symbols that emphasize the authenticity of the project approach are found in Zitec's new office", the company said. 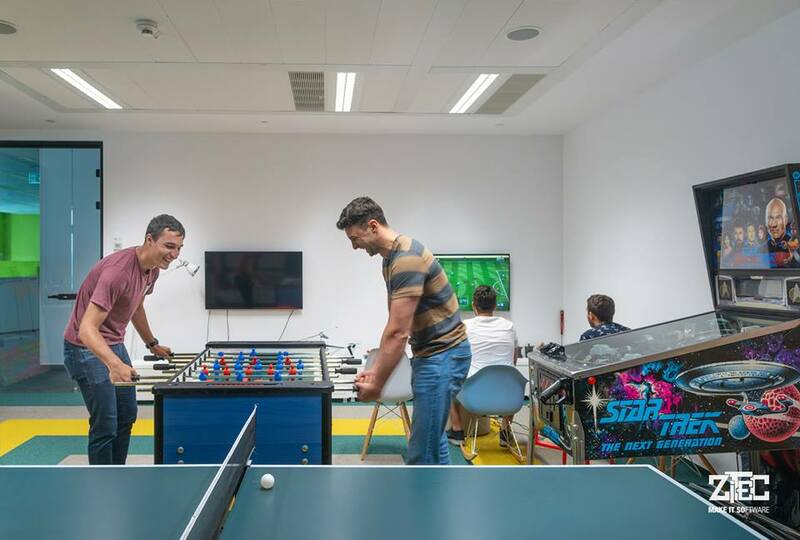 Betfair Romania Development, an IT company in Cluj, is cheering up its employees with colorful work spaces, that are very close to their needs. “It’s never just about the space. Spaces are empty if not filled with things we value. 500 inhabitants and counting, living busy lives need more gym rooms: soccer, squash, baseball, basketball, biking, pick what you fancy. We know, the traffic can be crazy. Rest assured we’ve now got cabs to take you everywhere and host your meetings. Gaming zone, the Modern Art Museum and Grandma's cottage complete our city”, explains the company on the official Facebook page. 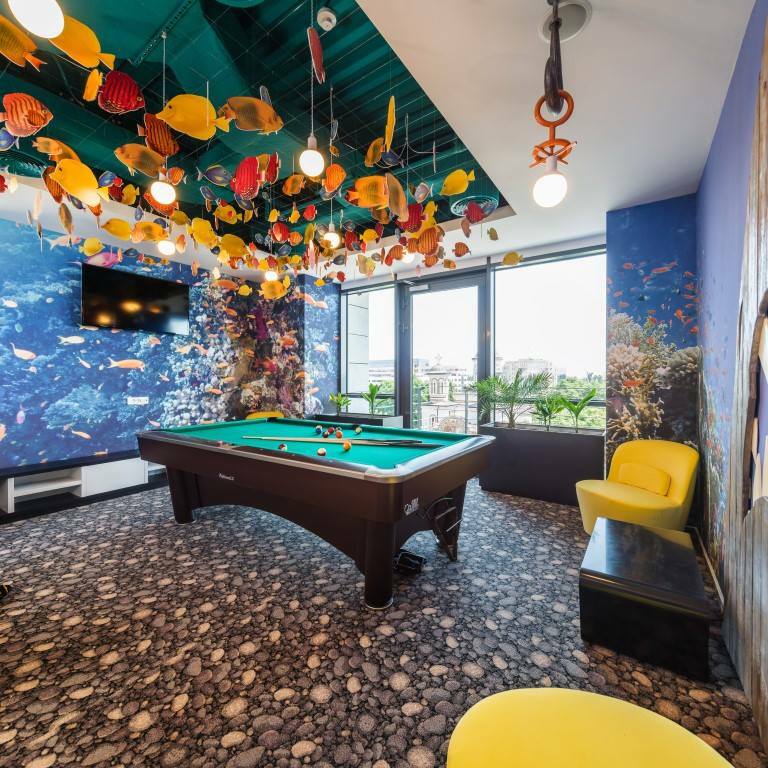 IT developer NTT DATA Romania is also among award-winning companies for the unconventional design of their offices. 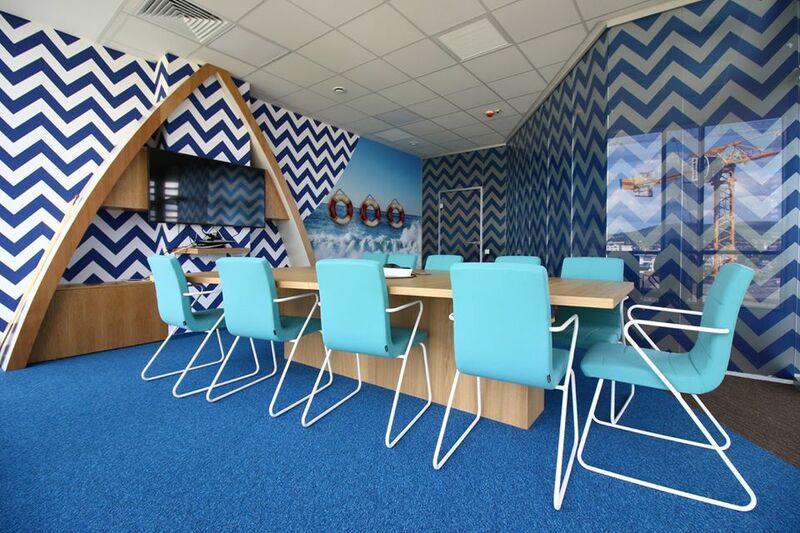 "Our offices are designed to make life easier and substantially more entertaining. The experience that you have with the office buildings is essential to us, which is why the spaces are upgraded on a regular basis. 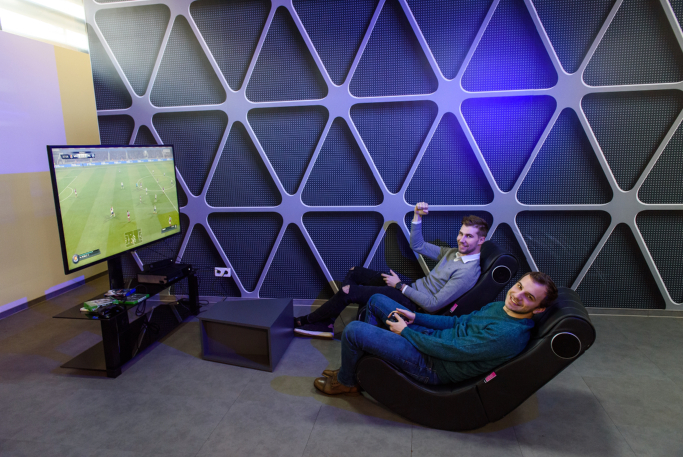 Relaxation lounges are available in all our offices, not to mention our gaming room in Cluj-Napoca, with round-the-clock access", explains the company's representatives to those they want to attract to the company. 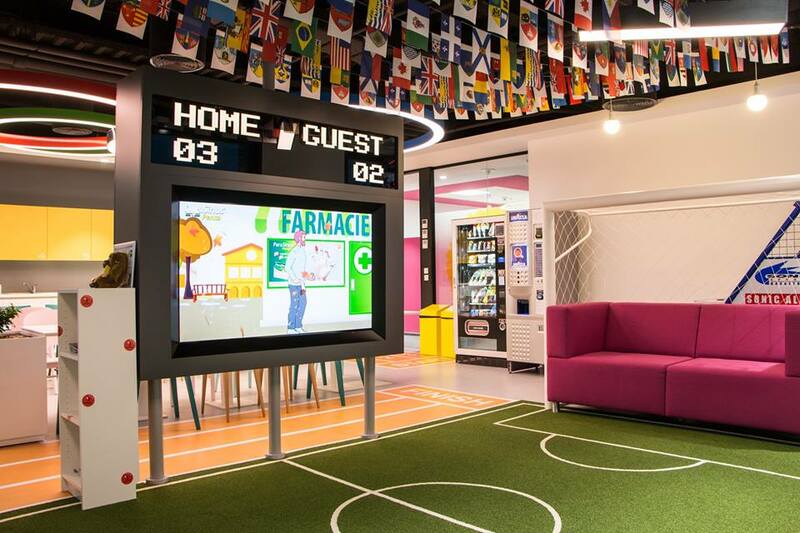 Business processing outsourcing company TELUS has also set up game rooms and sports rooms for its employees, relaxation and community areas. "Our of ces have become known for their innovative, fun and pleasant design. They have a positive impact on team members’ satisfaction and happiness at work. [...] Tropical fish water tanks, arcade video games, pool, foosball and more!" say company representatives. Co-working spaces: not a new trend, but an increasingly common on in the last few years on the Romanian office market. Here, entrepreneurs can rent desks or rooms by the month, day, or even by the hour. And these spaces are no less than the classical offices. In addition to providing a pleasant workout, co-working spaces also allow networking with other freelancers and entrepreneurs that can help with business growth. 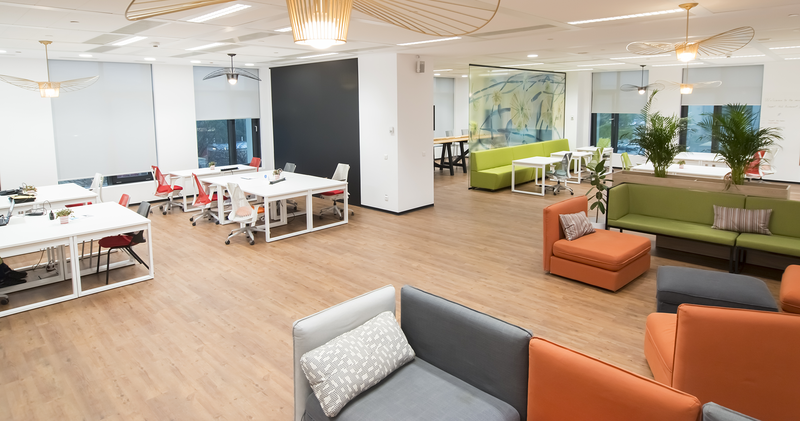 Recently moved to a new space in the Timpuri Noi offices, Impact Hub was one of the first co-working spaces in Bucharest. It has now upgraded its space and design in the new location. 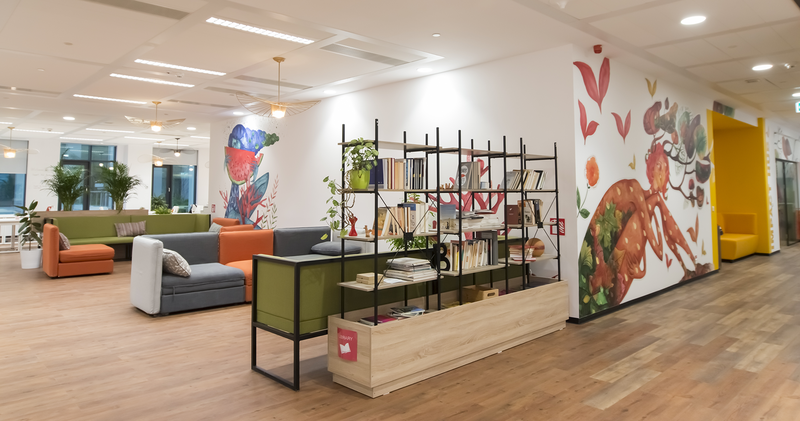 Others have arrived in the meantime: Commons Unirii in Bucharest – which uses creative furniture and style choices and has even installed a fireplace, while in Cluj – Napoca, Silicon Forest opened a co-working hub which includes wall graffiti artwork in the design, among others. 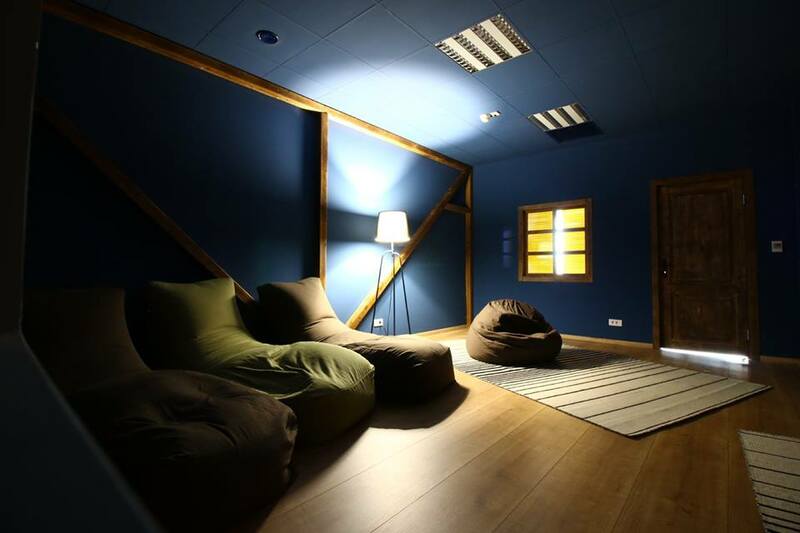 Mindspace recently entered the Romanian market and will open in three office locations. More on co-working spaces in Bucharest here. 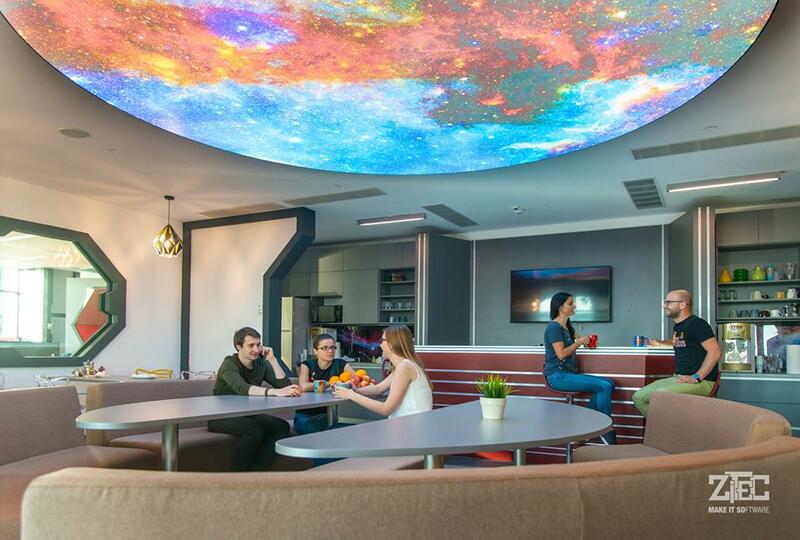 Whether they have rest and relaxation spaces, integrated green spaces, socializing spaces, or thematic rooms, offices in Romania keep up with worldwide trends, and become more colorful, design-oriented, spacious and appealing. Check out the newest jobs in Romania from large companies - openings in different departments.